In May the production of men’s collection of NCC Ecobrands was already in full steam! 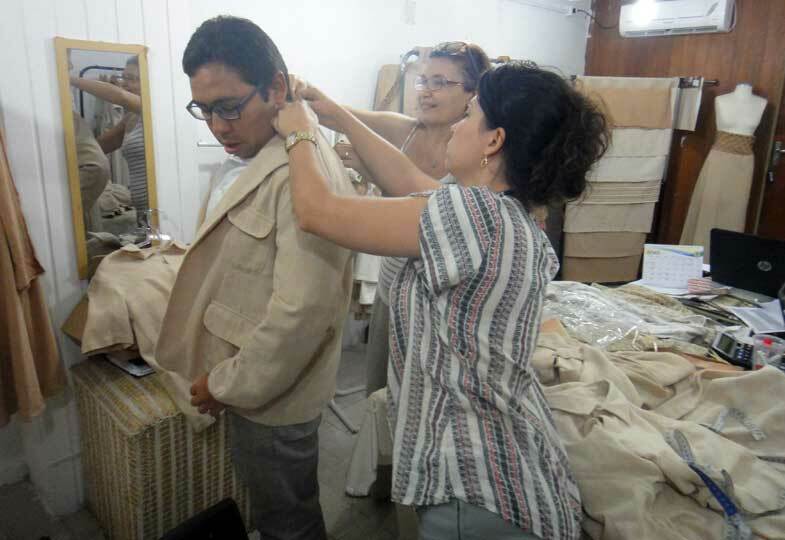 Born from the demand of clients requesting clothes and accessories for men, especially during international events, the men’s fashion pieces were developed by Fabio Moraes and Franciele Godoi of the SENAI Paraíba, along with the development consultant of colored cotton products Rosangela Comparoni. The presentation and approval of the collection took place on April 28 in the showroom of the NCC Eco Brands group. 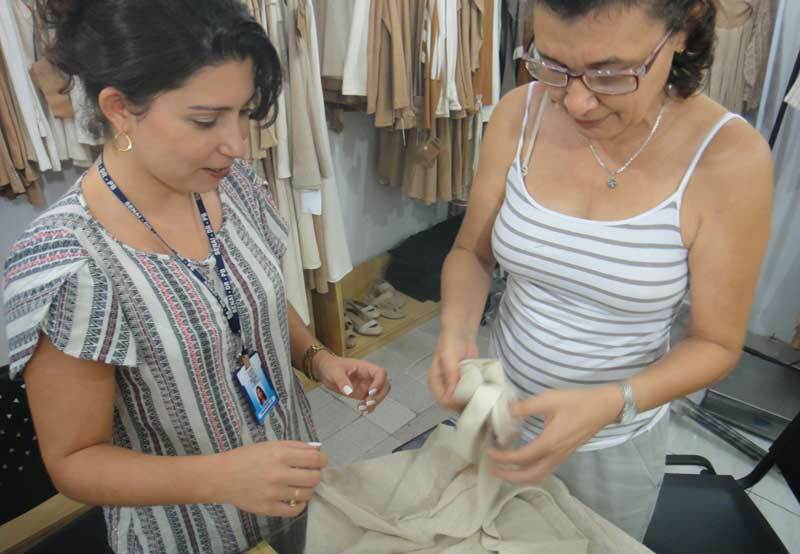 The support of SENAI in the production has been guaranteed to the group through these professionals, especially in the modeling performed in Audaces system – an advanced program operated by Franciele in the institution. The men’s fashion collection in 2015 with colored organic cotton of the NCC Ecobrands has casual pieces that emphasize comfort. It includes basic knit shirts (with short and long sleeves, with and without hood), beside the pants and shorts with knife pockets and elastic waist. The tissues of the T-shirts are produced in electric loom in the Borborema plateau region in the city of Galante, in Paraiba, Northeast, Brazil. In some parts, there are small details like renaissance lace, produced in the Cariri region and embroidery made in the Margarida Alves settlement in the city of Juarez Tavora (Agreste). In this same location there’s the growth of colored organic cotton, initial element of all the line of NCC Ecobrands.